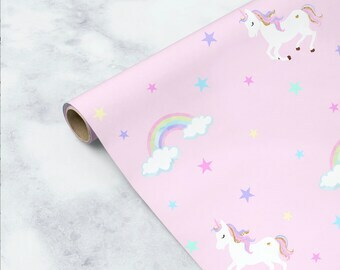 Adorable light purple wrapping paper! 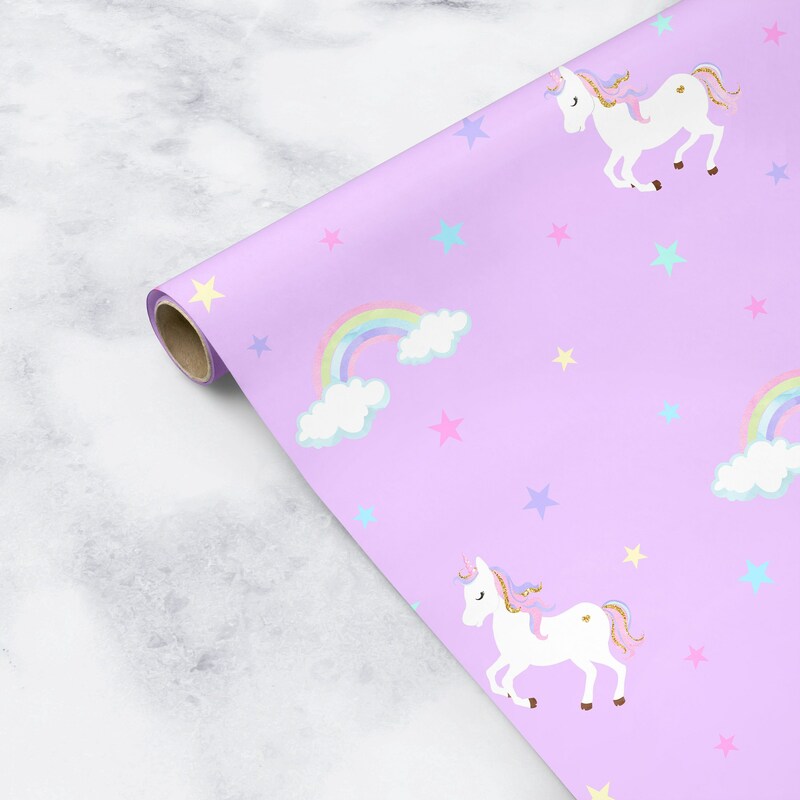 Adorable unicorns, rainbows and stars will bring smiles and add whimsy to any party, no matter the age! 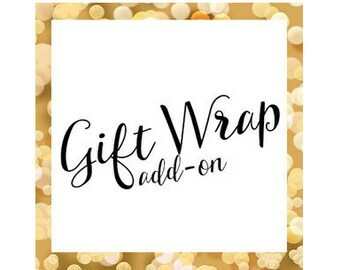 • Each sheet measures: 19.75"W x 24"
• See last photo in listing for examples of what can be wrapped using 1-sheet. 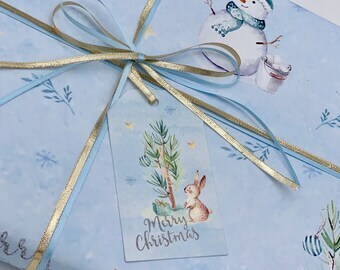 • Wrapping paper is printed on 60 lb gloss paper, back of sheets has grid lines for easy line-up and cutting. 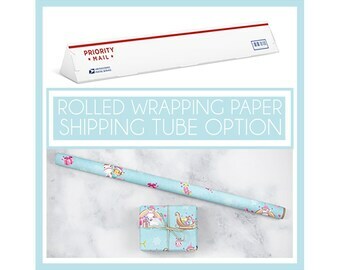 • Do you want a longer length of paper then 24"? No problem! #2. For lengths above 72", contact us directly for a custom order.